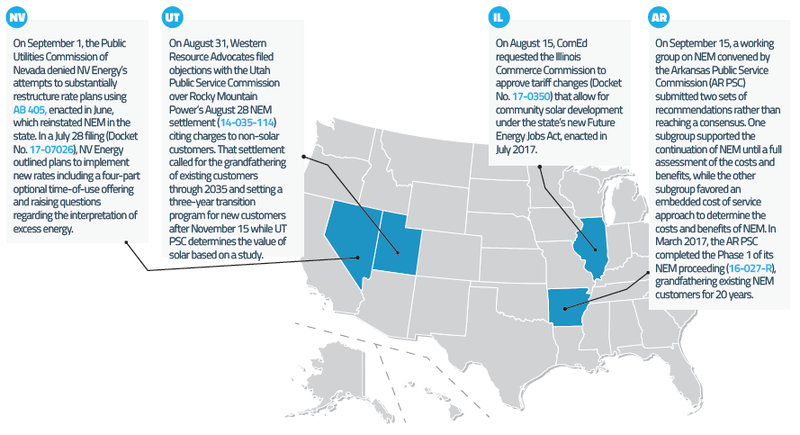 The Public Utilities Commission of Ohio has revised its net metering rules requiring regulated electric utilities to offer a standard tariff to standard service offer customers, while competitive retail electric service providers can offer diverse net metering products and service to shopping customers. The Ohio rule comes after months of review and seeks to address the interests of distributed generation customers, electric utilities, and competitive providers. Importantly, the ruling opens doors to energy marketers, some of which might be able to offer better rates than the utilities. The Connecticut Governor has signed legislation that could allow the state’s only nuclear plant to compete for long-term contracts with renewables provided such rule change is corroborated by a currently ongoing study into the plant's viability. 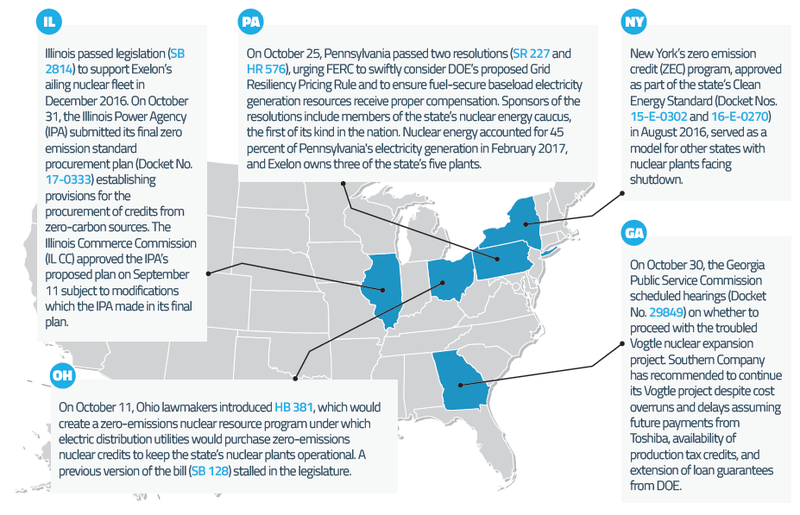 Recently, additional states including Pennsylvania and Ohio have joined in with policies supporting their nuclear facilities. 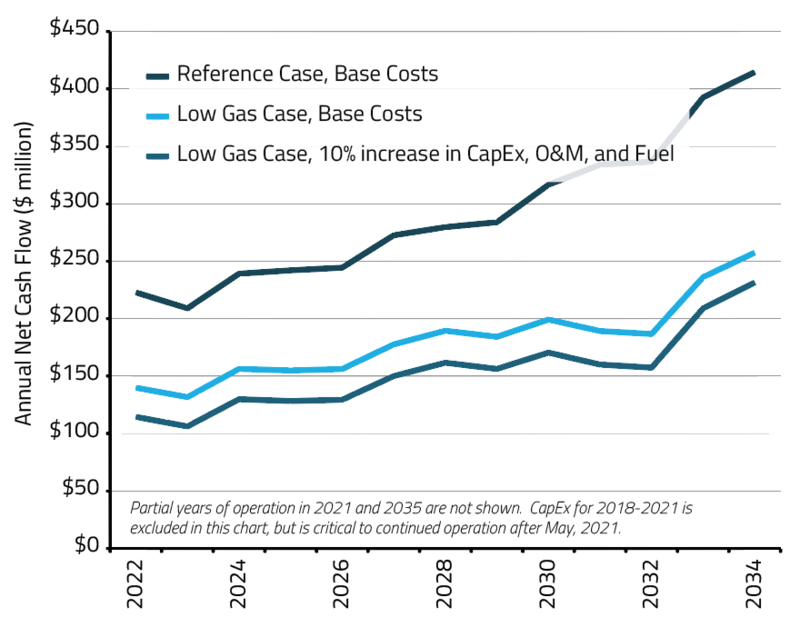 These actions coincide with the Department of Energy’s recently-proposed grid resiliency pricing rule offering hope for financially struggling nuclear power plants. The New York State Public Service Commission (NY PSC) has issued an order approving utility proposals to implement its Value of Distributed Energy Resources (VDER) compensation mechanism, a structure that values DER in a more accurate manner including locational and environmental benefits that were previously not quantified. However, solar advocates that have so far commended New York’s reforms said the approval was inadequately reviewed and could undercompensate DER. While studies on the costs and benefits of solar and other types of DERs will help states set their policies, New York will provide invaluable real-life lessons for other states with emerging solar markets.